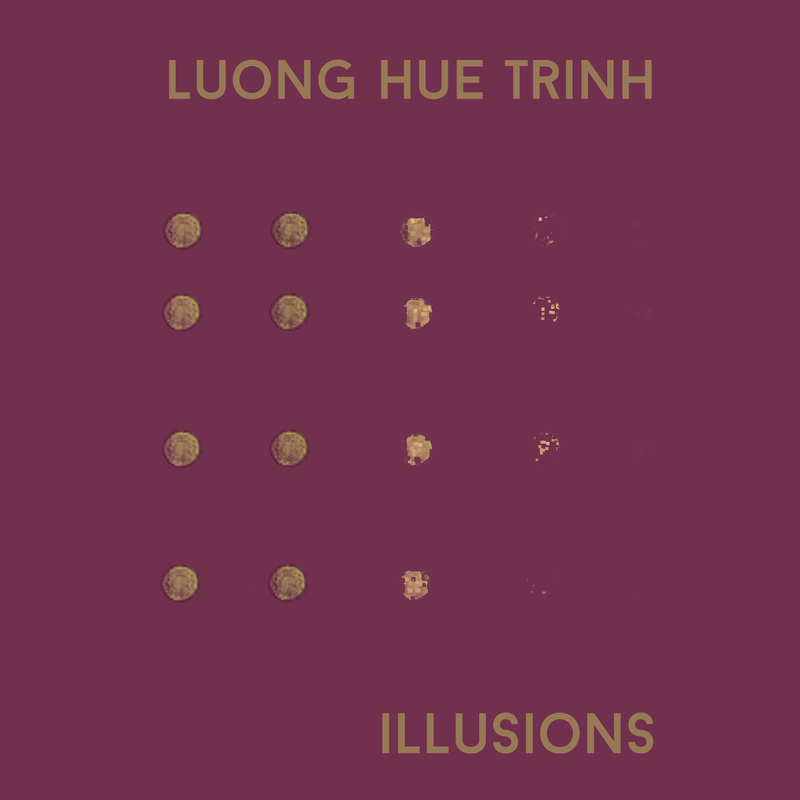 Luong Hue Trinh is a Vietnamese sound artist focused on electroacoustic music. She is currently studying in Hamburg, and Illusions is her most recent release. Consisting of two extended pieces (12 and 11 minutes, respectively) the album explores field recordings, drones, machine sounds, traditional instruments, voices, and amalgams thereof. The title track begins with a sound resembling falling glass, then consists of a long drone with instrumental accompaniment. This builds into pulsing and grinding industrial sounds, augmented by rattling, drilling, and electroacoustic waves. Bent notes from a traditional stringed instrument take the foreground as the machine noises become more sparse. Return II is a haunting piece with quiet, background drones and echoing percussion. While this track contains electroacoustic motifs and interludes, toward the halfway point it focuses on recorded vocals of Vietnamese river shanties and Buddhist monks. The latter is combined with dub percussion breaks as the ever-present drones fade to black. Illusions is a remarkably varied offering for its relatively short length. Trinh evokes sadness, melancholy, beauty, and foreboding with a plethora of instruments, recordings and electronics. Highly recommended, and hopefully one of many more to come.